For me courgettes are the perfect summer vegetable, they can be on the table in a matter of minutes, are easy to prepare and hugely versatile. Whether slender or round, bright green or yellow, steamed, marinated, griddled or spiralised, courgettes never fail to enrich a summer meal. And they are not just delicious. Courgettes are rich in Vitamin A, essential for healthy skin, hair and the immune system and health promoting phytochemicals. 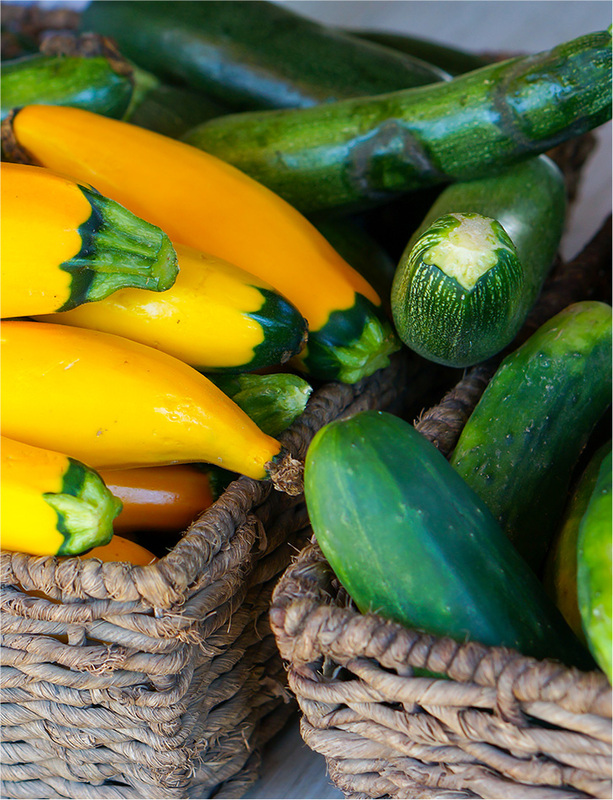 Choose small courgettes that are younger and therefore tender, with glossy skin, vivid colour and free of blemishes and store in a food bag in the fridge for several day. Remove the stamens, make a batter by whisking 200ml ice cold water into 125g plain flour until you have a smooth consistency, season the batter with 1 tbsp grated parmesan, sea salt and black pepper. Dust the flowers with some flour first then dip into the batter. Fry in hot oil for 3 – 4 minutes until golden. Drain on kitchen paper and serve. Quantities above are enough for 8 flowers. 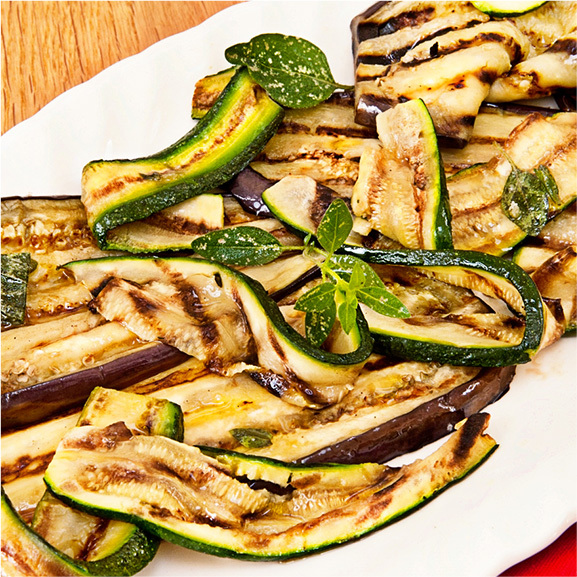 Courgettes are great partners to meat and fish dishes, in pasta sauces and creamy risotto, and delicious savoury bakes.